This page is dedicated to sea lure/spinning/fly fishing and with time will grow to detail a whole host of locations and hotspots. Rottingdean/Saltdean undercliffs. These areas are amazing and a major untapped resource for the fish you are after. there are many different ares to try and i would advise taking a stroll or bikeride along the stretch of coast and just fishing where you feel may produce some fish. Freelining prawsn can also work well here and is great on light tackle. The only problem with this area is that you will need a sustained preiod of calm weather as any wind will put dirt quickly into the water making lure fishing difficult. You do get a few people here but most sit on the beach and do not venture onto the rocky groynes where the fish are. the policy of dawn or dusk is best tried here. Lure wise if you are after bass a surface popper could be a good bet as there is a fair bit of weed and rock which can result in lost lures and the cost can add up. This are is definately worth a few good tries. Seaford beaches, good for mackerel gars and Bass- fish using a normal spinner like the dexter and you will catch plenty in the summer especially on high evening tides, the action can be explosive! i have seen shoals of mackerel over 100yards long it was as if the sea was bubbling with them, the water turned black with whitbait and the bass were also in tow. Brighton marina east ar at the end by the rocks is great for the types of fish you are after. For pollack use a fake sandeel or prawn and cast and retrieve, you may need a small weight to just add a little casting distance. you dont get too many people this far up the arm and it is were me and my pal glenn always fish when on the marina. There are other areas that you can try such as the river ouse for schoolie bass, take a stroll down the river and have a few casts. I have also seen people fly fish for mullet and bass here using fly that either lay just on the surface or sink just under it. My Favourite Spinning rod is the shakespeare ugly stick. These are great spinning rods with great action and whilst they have been around for a few years they still take a lot of beating. Plus im a little nostalgic about them as it was the first major lure fishing rod that me and my mates aspired to when we got into lure fishing about 8 or so years ago. GO LIGHT: Use light tackle such as 10-15lb line, use a light rod such as a carp rod or a specialist spinning rod and a suitable small reel to balance the set up. This will ensure that you have a good fight with the fish but just as importantly, you will be able to feel the lure working much more effectively. Also by travelling light it allows you to move around and try different areas of the beach, pier, harbou or river. WATCH THE WATER: watch the surface of the water for any bursts of action from whitebait or mackerel jumping to Bass chasing shoals of mackerel. Also the old fishermans guide as to watching the seagulls can be very true as they can spot potential naitfish/food from the air and will never be far from the fish, watch out for them dive bombing the sea. WHAT TO CATCH: If there are Mackerel, Whitebait and Gars about then you can be sure that the Bass are not far behind. be quite and stealthy though as they can get spooked. You can use a Mepps spinner and ragworm or redrag (maddies) to spin for flounders and Gurnards by reeling in very slowly, stopping for a few seconds and reeling again across the sandy/muddy bottom, replace the treble that comes with the spinner for a size 4 or 6 single hook. I know this works as i have done it many a times and am surprised at how well it worked. I stumbled on it while trying to catch Bass and Mullet this way. To catch Schoolie Bass or Mullet retrieve the lure slightly quicker, Mullet will give you plenty of follow ups so just keep perserveering. You can also team this lure with a bubble float for added casting distance and to ensure that it stays just a few feet under the surface when fishing for bass and mullet at places like the river Ouse or river Adur. STRUCTURES: You can catch Bass along open stretches of beach and Seaford and Brighton are very good examples of this, however, it is know that Bass like to hang around structures and ambush their Prey. Try fishing rocky marks, piers and groines for Bass using a variety of lures.The only thing i would say is to be prepaired to lose a few lures and have spares at the ready. CHECK OUT YOUR MARK: Check out some of the marks you intend to fish before you actually fish it. for example, if you wanted to fish Rottingdean/Saltdean undercliffs then it may be worth checking them out on really low tides as this could allow you to spot potential fish holding features such as gullies or ambush points for bass to sit in. Then once the tide comes in you can try the spot and see how you get on. There is nothing more rewarding then finding your own little area and then catching a decent fish from it. 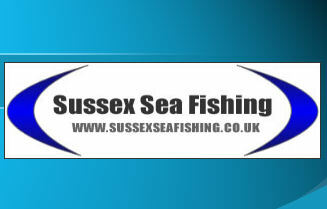 EXPLORE: Try lots of venues, thats the beauty of lure fishing as it allows you to move around and try different areas. Even in some marks you may not normally try its worth having a go as you could find a secret fish holding mark. LURE TYPE: You can be adventurous and try a variety of lures or you can try and match the lure/spinner to what the main food source of the area and your target species may be. For example if there are lots of mackerel about and you are after bass then try a fake mackerel but if you are fishing somewhere where there are alot of sand eels, prawns, or whitebait then try using replicas of these. its a case of trial and error.